Artistic simulation of a “hot Jupiter”. Credit: Gabriel Perez Diaz, SMM (IAC). An international team led by astrophysicist Carolina von Essen, has used the OSIRIS, the Gran Telescopio Canarias (GTC) instrument to study the chemical composition of a planet whose temperature is around 3,200 ° C.
IAC GTC OSIRIS instrument assembled in the simulator IAC Nasmyth rotator during the testing phase. Credit IAC. WASP-33 star has a planet orbiting around the exoplanet WASP-33b. Both are about 380 light years from Earth. This star is a Delta Scuti, which means that presents pulsations completely distorted planetary transits, one of the methodologies used by astrophysicists to detect planets orbiting their stars, making it extremely difficult detailed characterization of the exoplanet. The exoplanet WASP-33b, the protagonist of this study presents a number of features that make it unique and interesting. Its equilibrium temperature is around 3,200 ° C, which means it is a ultrahot Jupiter . In addition, this planet goes around its star every 1.22 days. Interestingly, its orbit is nearly perpendicular to the plane of rotation of the star and also the direction of translation of exoplaneta is contrary to the rotation of the star. The detailed characterization of the chemical composition of such exoplanets help determine whether exoplanet atmospheres models correctly predict their chemical composition or whether we should correct them as we carrying out new discoveries. There is an important symbiosis between models and observations; and a good example is the work, in which the first sign of aluminum oxide present in the atmosphere of WASP-33b is notified, which would confirm the presence of this oxide in exoplanet atmospheres, as predicted by theory. the testing phase. Credit: IAC. 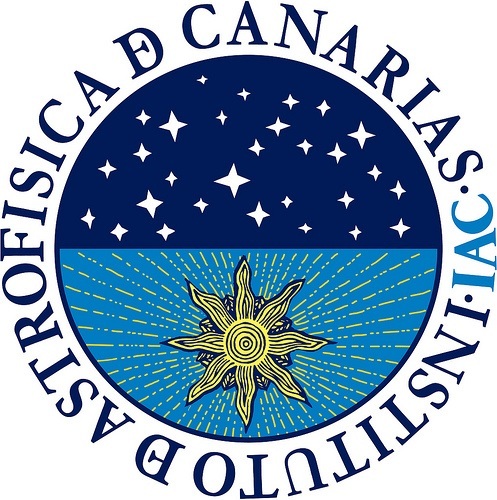 To carry out this research has used the OSIRIS spectrograph, installed in the Gran Telescopio Canarias (GTC), the Roque de los Muchachos Observatory (Garafía, La Palma). “The sensitivity and performance of GTC and OSIRIS have been key to the success of these observations,” says Herve Bouy, co-author of this article, “It is precisely this combination that makes the GTC is being in recent years a reference in studying exoplanet atmospheres, “adds Antonio Cabrera Lavers, Head of Scientific Operations of GTC. With this instrumentation data collected have allowed to create a physical model of the planet taking into account the pulsations of the star and its amplitude as a function of wavelength. “Using modern methods and detailed to determine the chemical composition of WASP-33b He points von Essen- found that the feature observed in the transmission spectrum between 450 and 550 nm may be better represented with aluminum oxide exoplanet atmosphere” . The computer has not found significant evidence of other molecules and a high abundance of aluminum oxide, so that new observations of its spectrum with both ground-based telescopes and instruments in the space to confirm this detection will be needed.